Sometimes medical professionals (doctors, chiropractors, psychologists/therapists, dentists, etc) do not accept insurance. Starting this year we decided to become an “out of network” provider and discontinue our relationships with all insurance providers, including Medicare. Since the change on January 1st of this year, we have spent a lot LESS time on the phone or doing paperwork and a lot MORE time with you, our valued patients. Additionally, we have more appointments available and we can see you a lot sooner, too. Because we are an “out of network” provider, many insurance providers will cover a percentage of your visit, oftentimes up to 50% of the bill, depending on your plan. Here is a step-by-step guide to submitting an insurance claim. -First, come to your appointment. You will receive an itemized paper bill from our office indicating the type of appointment you had, all services and charges, diagnosis codes, and a total. -Pay the charges at our office before you leave. 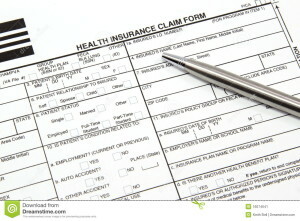 -You will now need to acquire a “health insurance claim form” from your insurance provider. (We may have some at our office– if you need one, please ask!) The health insurance form will ask for your personal information, your health insurance plan information, and information from the itemized bill. -Once the form is completely filled out, check for errors, and then make a copy for your records. -Now just mail it to your insurance provider (check their website or call for exact address) and wait for your reimbursement. Most companies mail a check within a couple of weeks. -Every time you visit our office you will need to submit a new claim. ‹ What are the AAGL and Minimally-Invasive Surgery?